FauxFest 2019! 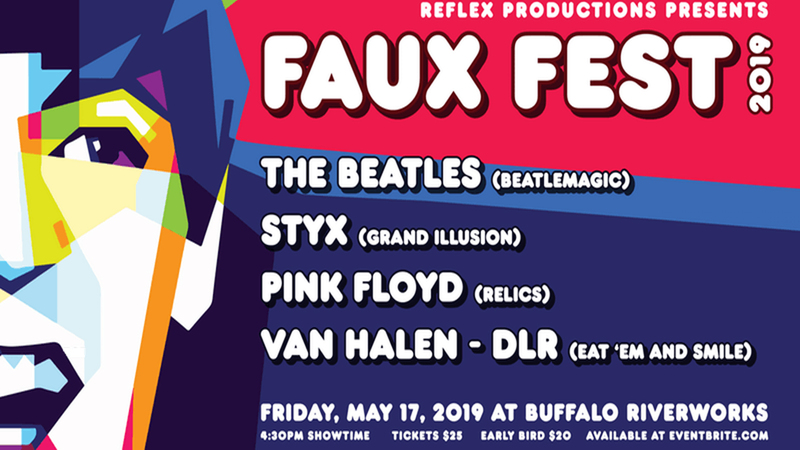 A classic rock arena concert experience starring Beatlemagic doing The Beatles, Grand Illusion doing Styx, Relics doing Pink Floyd, and Eat ‘Em and Smile doing David Lee Roth and Van Halen, all on one stage! An evening of non stop hits, and a concert production to remember! !